Robert Ollie Princeton Merritt was born and raised in the City of Philadelphia. He is the seventh child of a family of eleven and the youngest male child born to the late Malverna and George Merritt, Sr. Reverend Merritt attended M.L. King High school. He accepted Jesus Christ as Lord and sSaviorat the age of 19 and was baptized by his late Pastor, the Reverend Paul McCoy of Ezekiel Baptist Church. Reverend Merritt became very active in church, joining the ushers, choir, and trustee ministries, and later becoming a Jr. Deacon. He attended Philadelphia Bible University, formerly Philadelphia College of the Bible (PCB) for two years, earning a teaching certificate. Reverend Merritt later joined Nazarene Baptist Church under the leadership of Reverend K. Marshall Williams where he became a junior deacon, youth leader, and youth Bible teacher. Reverend Merritt later joined the Fern Rock Community Baptist Church where he was ordained as a deacon in 1996 by the late Reverend Thomas Ray. He later became the chairman of the Deacon board and the teacher of adult bible study and Sunday school. Reverend Merritt joined his current church First Baptist Church of Crestmont in 2003 and has served respectively as Trustee, treasurer, and chairman of Deacon Board. 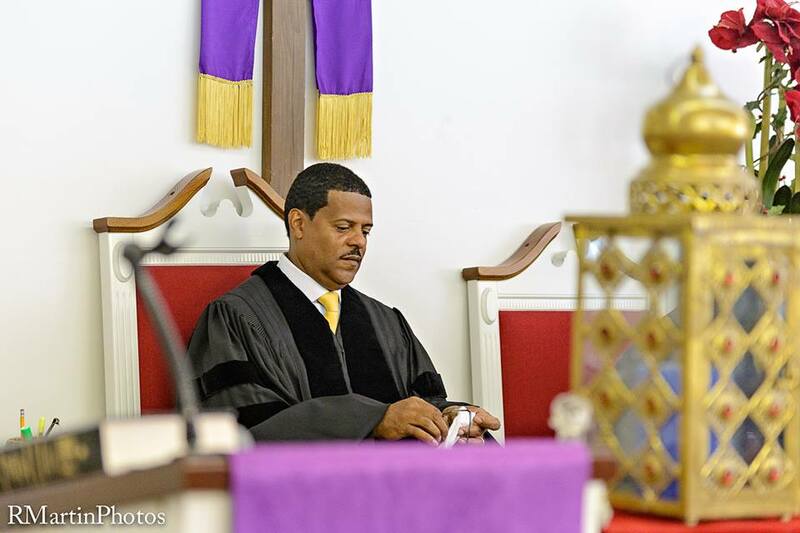 Reverend Merritt answered the call to preach the gospel of Jesus Christ in 2007 and was licensed in 2008 and later ordained in 2012 by his Pastor, the Reverend Jerome F. Coleman. 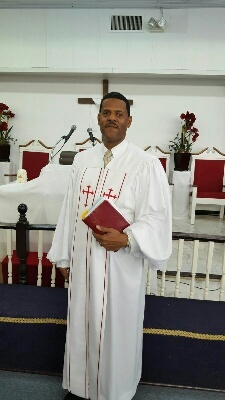 Under the leadership of his Pastor and the guidance of the Holy Spirit, Reverend Merritt continued his spiritual education and earned a four-year diploma from Suburban Bible Institute (SBI), and also earned a BS in Church Ministry from The Sure Foundation Theological Institute in 2012 and is currently enrolled to complete his Master of Divinity. At First Baptist Church of Crestmont, Rev. Merritt served as Associate Minister, Sunday school teacher, Bible class & New member class instructor, worship leadership, Men of Honor choir member, and Outstanding Men of God member. In 2007 Merritt became first African American to own & operate a RE/MAX franchise in the City of Philadelphia (RE/MAX Specialists). He had previously worked at Mellon Bank for 20 years as a trust officer; He left his corporate position to become a real estate professional and entrepreneur. He is currently the broker and owner of RE/MAX Specialists located in Philadelphia. Reverend Merritt has extensive education and background in Business Administration, Accounting, Trust & Estates, and Real Estate; holding various BS degrees, certifications, and licenses in these fields. Reverend Merritt is married to the love of his life, the former Cecelia A. Patterson. Cecelia works alongside Reverend Merritt as the co-owner and Director of Real Estate Property Management at RE/MAX Specialists. Reverend Merritt has four adult children, Tiffany, Robin, Robert Jr., and Devin. On September 6, 2015, Rev. Merritt answered the call to Pastor the Agape Baptist Church in the city of Philadelphia. Only after a couple of months the Lord as added over 20 members to the fold. Pastor Merritt has re-established new member’s class and Prayer & Bible classes. The Lord is moving in a mighty way as He has given the Vision of “Rebuilding while Rejoicing in the Lord.” Pastor Merritt is excited to see what the Lord will do at Agape Baptist Church.